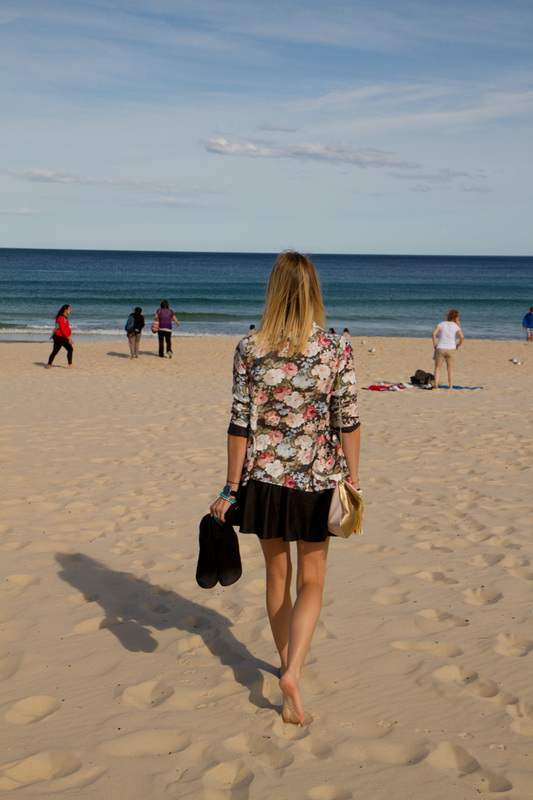 We went to Bondi Beach on such a gorgeous day. I'm told that it is way too busy and touristy in the summer, but because it's winter we were lucky to practically have the beach to ourselves! Ollie's brother and soon-to-be sister-in-law were the best tour guides ever and agreed to take us there -- even though real Australians don't seem to venture there. I guess I'm a real tourist because I loved it! I love when beaches empty from tourists! life is always better at the beach! love the floral jacket! I hope I will be in Australia someday too! Nice blazer dear! lovely beach and outfit to match! Love this dark elegant outfit on the light summer beach! Amazing blog by the way! I have always wanted to go there - it looks so nice ! !